Alfred P. Donovan is a former Police Chief of the Tewksbury (Massachusetts) Police Department and has over 38 years’ experience in law enforcement. Retired Chief Donovan began his law enforcement career in 1976 as a reserve police officer for the Tewksbury Police Department. He ascended through the ranks from patrolman, sergeant, lieutenant, Deputy Police Chief and was appointed Police Chief in 2003. 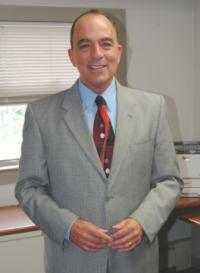 Alfred P. Donovan served as Tewksbury Police Chief until his retirement in January 2010. In 1998, then Lieutenant Donovan created APD Management Consultants, a firm that focused on providing training and executive development for law enforcement personnel. APD has provided training for over 2,000 law enforcement officers. Since his retirement in 2010, Retired Chief Donovan has conducted seminars and provided training for hundreds of law enforcement officers seeking to become the clear choice when participating in their department’s Assessment Center Testing process. Retired Police Chief Robert A. DeMoura served as Chief of Police for the City of Fitchburg, Massachusetts from 2008-2014. Retired Chief DeMoura also served as Interim Chief of Police for the towns of Shirley and Townsend, Massachusetts. Retired Chief DeMoura began his 35+ year law enforcement career as a police officer rising through the ranks as a patrol officer, Investigator, Sergeant, Lieutenant, Captain and Deputy Superintendent for the Lowell, Massachusetts Police Department. He also served as Commanding Officer of the Crime Scene Services Unit for the North Eastern Massachusetts Law Enforcement Council (NEMLEC).